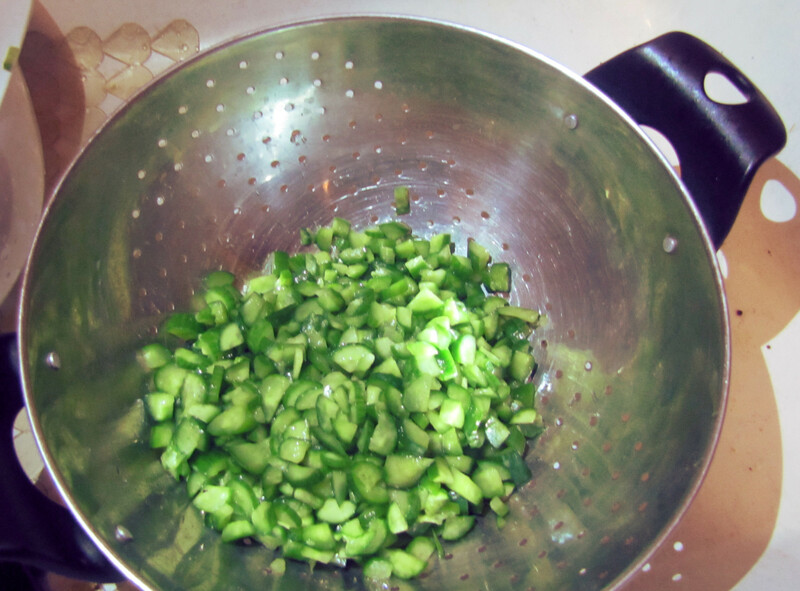 This is a simple quick pickle, perfect as a side dish, or (especially) as an essential component for banh mi. As well as Vietnamese food, it would work well as ban chan for Korean food, or a general pickle for American barbecue or pulled pork. 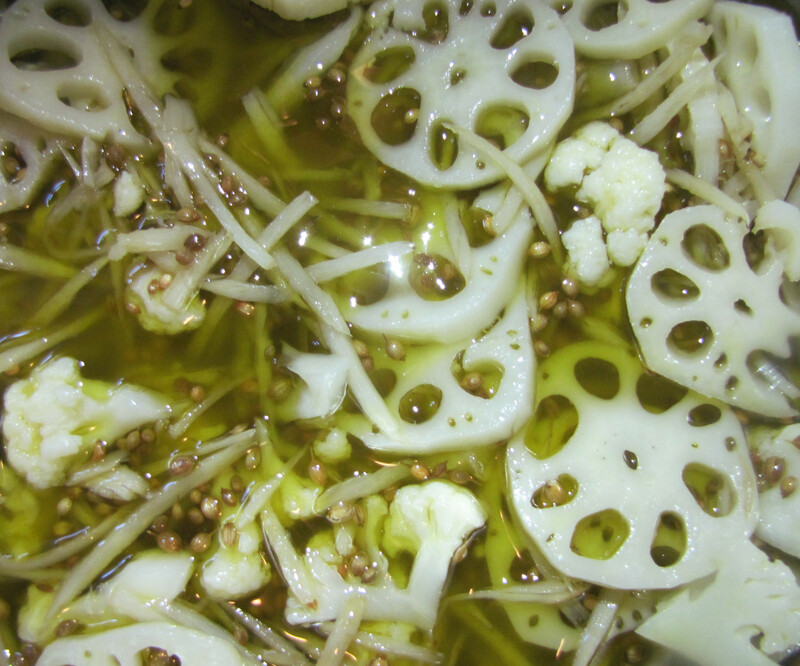 These pickles were a regular feature in a French restaurant in Yonago (Japan). The restaurant served sophisticated Japanese-inflected French cuisine, and it was a revelation to me — coming fresh from rural Nova Scotia. These marinated vegetables in particular stuck with me. They are a combination of typically Japanese vegetables — primarily lotus root and gobo. But the marinade is a European-style combination of white wine vinegar, and olive oil, with floral and citrus flavours from the abundant coriander seed. The basic recipe for preserved lemons is dead simple. Just salt and lemon. You can spice it up, if you like. This is one time when I’d say not to bother. The plain lemons are so good, and you’ll probably be using them in recipes that already have their own seasoning. You can use them in almost any savory recipe that calls for lemons, like Greek lemon garlic chicken, tagine, or just as a marinade with olives. This is a common technique in Turkish and Eastern European cooking. I’m not completely sure about the phrase “murdered”, but several of my Turkish and Arabic friends have used it so I’ll follow suit. Once murdered, vegetables are softer (almost cooked), but still crisp; are typically less-bitter; and won’t leak water into the final dish. I’m going to be pedantic about the details, but rest assured the process is simple: chopping, salting, and squeezing. Rinse — done.